Congratulations Rhine Ballet for being awarded the title of Best Ballet Company in NRW! 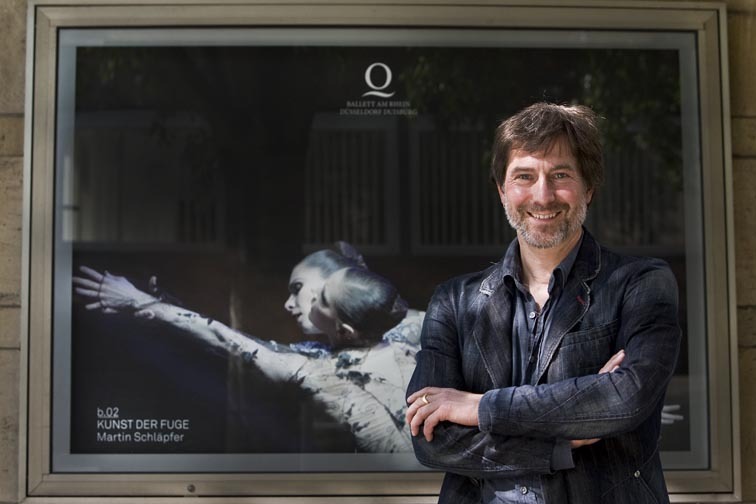 A much deserved accolade for Martin Schläpfer and his ensemble. The wonderful Rhine Ballet premiered on June 12th at the Opera House in Düsseldorf with b.05. This performance is made up of four pieces, three by Schläpfer and one by the Argentinian Teresa Rotemberg. Expect an evening of high emotion as you are swept along by music that includes piano pieces written by John Cage and a performance which combines saxophone and Schubert waltzes all interpreted by the incredible physicality of Schläpfer's dancers. 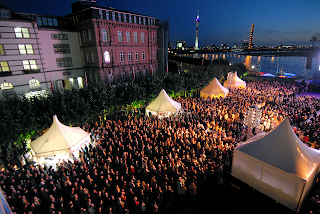 The final piece in the b.05, '3' celebrated it's world premier in Mainz in 2007. The words by Wiebke Hüster of the Frankfurter Allgemeine describe “There is hardly another choreographer today who is able to create works with so many layers of depth besides Martin Schläpfer – dances which really come to grips with the music, dances which open up a new terrain of movement, and finally dances which over and beyond the evening can occupy one’s imagination for so long”. I am anticipating the evening of July 13th, when RhineBuzz will see this performance at the Opera House in Düsseldorf, with great excitement. The ballets b.01 - b.04 have all been mesmerising - I can't wait to see what Herr Schläpfer has in stall for us to round off this incredible season he has celebrated in Düsseldorf. His ballets are of such power. I can only urge anyone who has never seen one of his works to join us. We have had wonderful feedback, especially from ballet novices, you will not be disappointed and will almost certainly get to meet some great new people too. Our groups are a colourful bunch of vibrant characters of all nationalities. If you wish to join us, please email caroline@rhinebuzz.com. We enjoy discounted tickets for the best seats in the house - you can see right up close the incredible physical effort and feeling that oozes out of theses amazing dancers. On 16th July the Opera House will present "Opera and Ballet on the Rhine for All" following the great success of "Opera for All" last year. 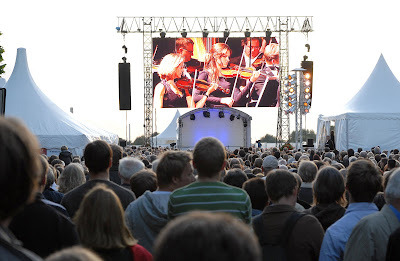 With the Rhine majestically as the backdrop, a massive screen of stunning quality is erected on Burgplatz, so that everyone is able to take part in the performance that is transmitted live from the Opera House that evening for free. Take along a deck chair and go along, you'll have a ball! "Opera for All" had a truly festive atmosphere about it last year and no doubt this new event will encompass the same magic. Entertainment is provided from 3pm on the open-air stage. The performance itself in the Opera House, a stunning program of opera and ballet hosted by well-known personalities from German TV and film, begins at 8pm. RhineBuzz is thrilled to have been able to secure a few tickets. The entire Opera House will be on stage - the Düsseldorf Symphonic Orchestra, The Choir, The Children's Choir, members of the Opera on the Rhine, the Rhine Ballet and world-renowned guest performers. Antenne Düsseldorf Website of the Week!